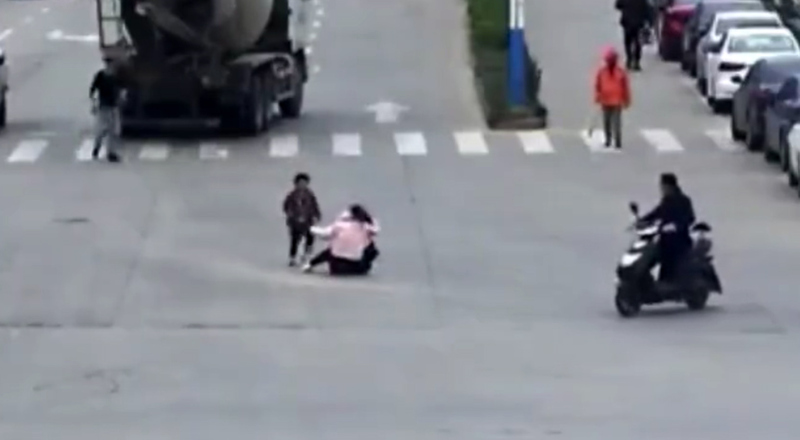 This is the moment a mother and son are knocked off their scooter by a concrete mixer and disappear under the huge vehicle only to be revealed alive seconds later. 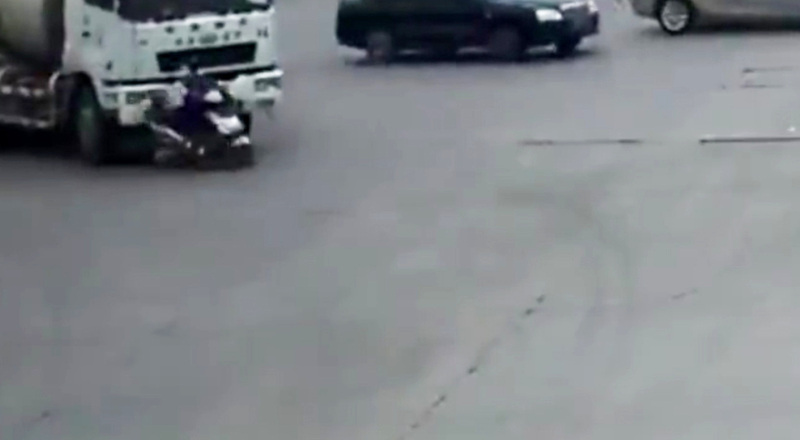 The heart-stopping accident happened in the city of Lu’an, which is in China’s eastern Anhui Province, as the parent was riding through a crossroads. 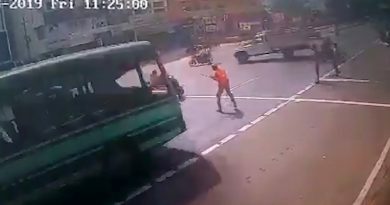 CCTV footage of the incident shows the mum riding into the path of the concrete mixer, which is making a turn through the junction while its driver appears not to have noticed the pair. 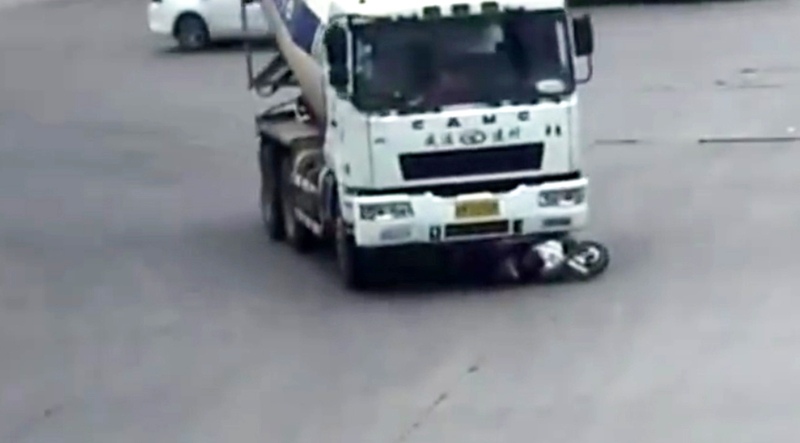 The lorry crashes into the mum and son, knocking them off their scooter, but the concrete mixer does not stop and drives right over them. 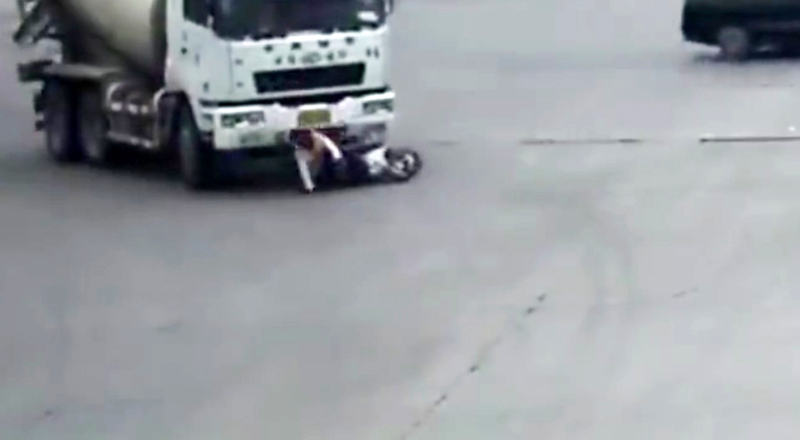 They disappear into the undercarriage between the lorry’s wheels, but a few seconds later the boy and then his mum are seen again, sitting on the road a few feet apart, seemingly unharmed. 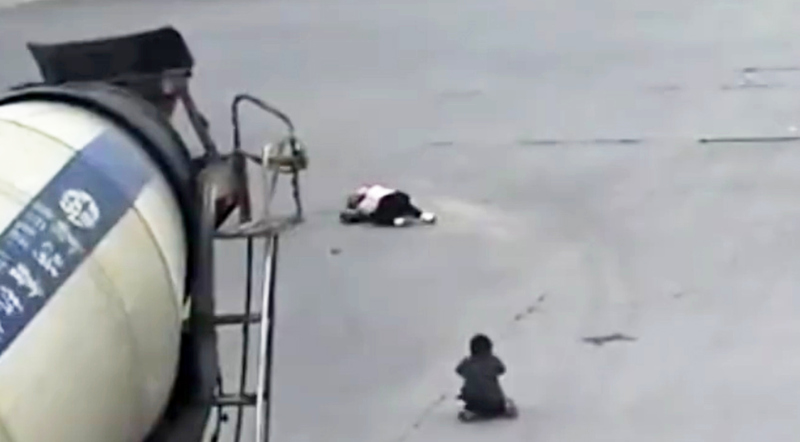 The video ends with the boy running over to his mum as she sits in the centre of the crossroads. 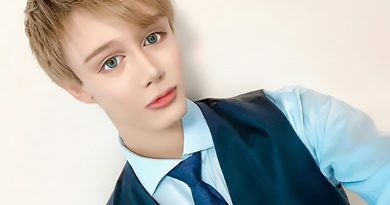 Lu’an police said the pair suffered only minor injuries. They are still investigating the accident and did not say whether either party would be fined for the accident. I am a senior journalist and editor, and have worked for a number of different news agencies over the last decade. I am currently editor-in-chief of the Asia Wire Report news wire. Copyright ©2019 ViralTab Ltd. All rights reserved.